This is 100rds. 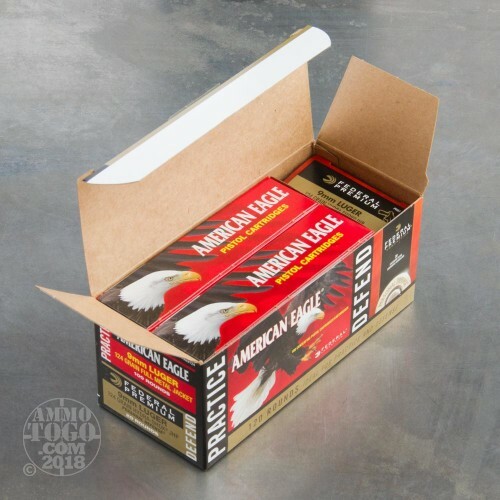 9mm Federal American Eagle 124gr. Full Metal Jacket and 20rds. 9mm Hydra-Shok 124gr. Jacketed Hollow Point Ammo. This combo pack comes with one 20rd. box of P9HS1 and two 50rd. boxes of AE9AP. 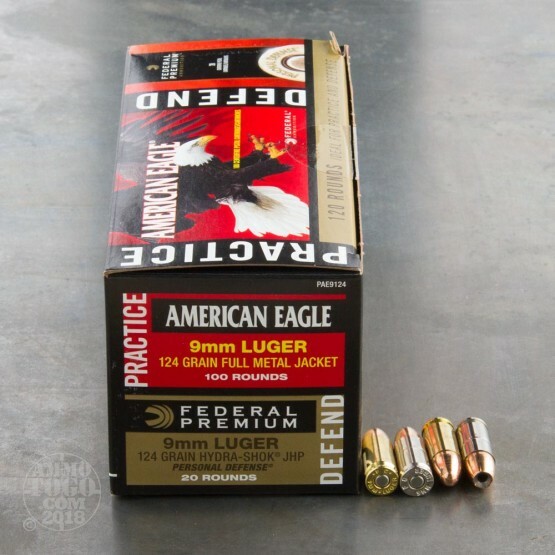 Train hard with the consistent, reliable and economical FMJ ammunition. 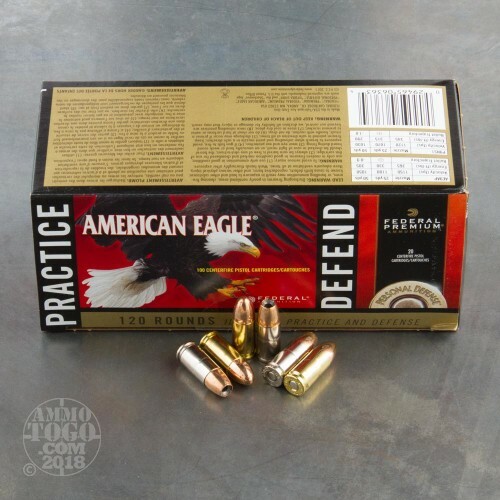 Defend with proven Hydra-Shok JHP rounds. 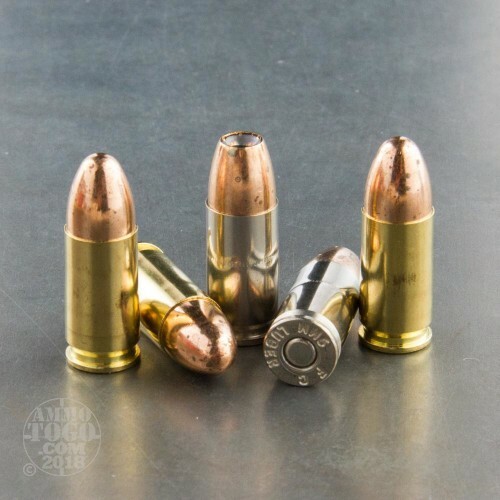 This ammo is brass cased, boxer primed, non-magnetic, and reloadable. It comes packed in a 120rd. combo pack.